May buy any quantity. May redeem any quantity for groups and/or additional nights. Reservation required and subject to availability. 45-day cancellation notice required or fee of 50% of voucher price may apply. Valid March 18th - June 12th and August 12th - October 31st. Not valid for existing reservations. Tax not included; taxed on discounted price. Valid through: Oct 31, 2013. See the terms that apply to all deals. 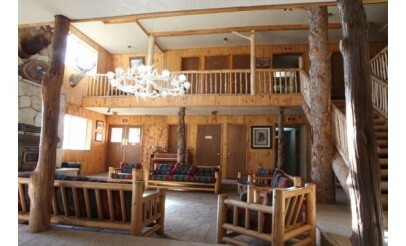 Rockin' R Ranch features a huge, barn-style lodge. During your stay, enjoy 3 delicious home-cooked meals, a horseback trail ride, arena activities, and archery or a hike (depending on the schedule for the day). 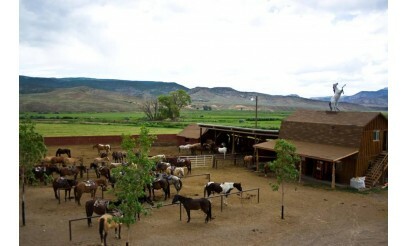 Click here to learn more about the activities at Rockin' R Ranch. 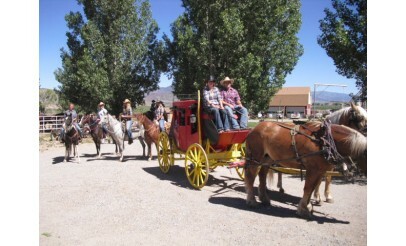 Welcome to the Rockin’ R Ranch, a real, Old West dude ranch in Utah where cowboys brand cattle, grow and harvest crops, and know how to have fun when the work is done. As a guest, you’re invited to experience one of the last remaining strongholds of the American West!